Venomous Snakes of California: It is said that there are over 33 species of snake in California although luckily, only around 18% of the species are venomous, and less than 10% of snake sightings are of a California venomous snake. 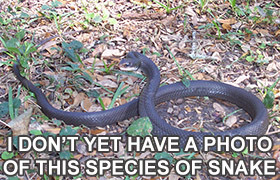 For photographs of the common species of snakes in California, click on the Common Snakes of California page. Being a very geographically diverse place, there are plenty of different habitats for various species of snake to dwell, from fertile farmlands to arid deserts, mountainous regions, pine forests, seasonal lakes and more. Mojave Rattlesnake: The most dangerous of venomous snakes of California, it’s venom is said to be ten times as potent as any other venom found in any other rattlesnake within the USA. One bite is enough to kill a human with a toxin that affects the neuromuscular junctions, skeletal muscles, and the heart but this is generally when the bite has been left without medical intervention. Western Diamond Back Rattlesnake: A snake you’ll find in dry, arid habitats, the western diamond back rattlesnake can have fangs over half an inch in length, with a venom known to be highly hemorrhagic to humans. 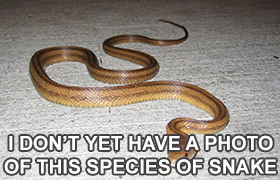 According to statistics, a bite from this snake could be responsible for more human deaths in the US than from the bites of any other snake. 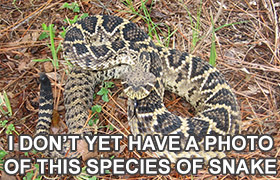 The symptoms of a diamondback rattlesnake bite can include vomiting, breathing difficulties, higher heart rate and high blood pressure. In untreated cases, a bite can lead to death. Sidewinder: Although not as highly toxic as other CA venomous snakes, a sidewinder can still have a nasty bite, delivering between 20 and 60 mg of venom in a single bite. Around 40 mg is necessary to prove fatal to an adult human. A snake given the name because of its side-winding movement in the sand, that’s where you’ll usually find it although you might not spot it, colored to camouflage into its sandy surroundings and only small - around 30 inches in length at adulthood. Speckled Rattlesnake: If you’re bitted by a speckled rattlesnake you’ll need medical intervention. A snake that can measure in at over 3.5 feet in length, it has the ability of adapting to its surroundings and there are now so many different colorations and patterns ranging from grey to brown, white, black, and even with different markings. 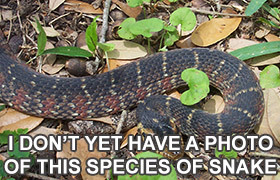 Southern Pacific Rattlesnake: Some subspecies of the southern pacific rattlesnake will have a hemorrhagic effect to their venom but there are some which will have a neurotoxin effect. A bite from this snake could prove fatal to those with a heightened sensitivity and this happens in a high percentage of cases, making it even more dangerous than other rattlesnakes. 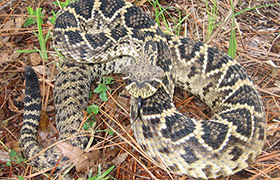 It would take between 70 and 160 mg of the venom to kill a human and one bite from a fully-grown adult could provide as much as 110-115 mg.
Red Diamond Rattlesnake: Another snake with impressive fangs of over half an inch long, the red diamond rattlesnake can deliver as much as 350 mg of venom per bite with only around 100 mg needed to kill an adult human. The toxicity of the venom is relatively low but because the snake delivers so much in one hit, it is classed as a dangerous snake you’ll definitely want to back away from rather than fight back against. 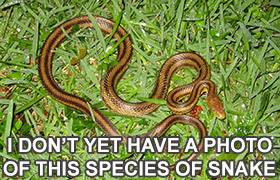 For more information, go to my Snake Removal - How to Get Rid of Snakes home page, and learn more about how to get rid of the poisonous snakes of California.